Join us with this Southwest Gansu discovery tour to the Amdo Tibetan area, which is one the three traditional Tibetan Regions, the other two being U-tsang and Kham. 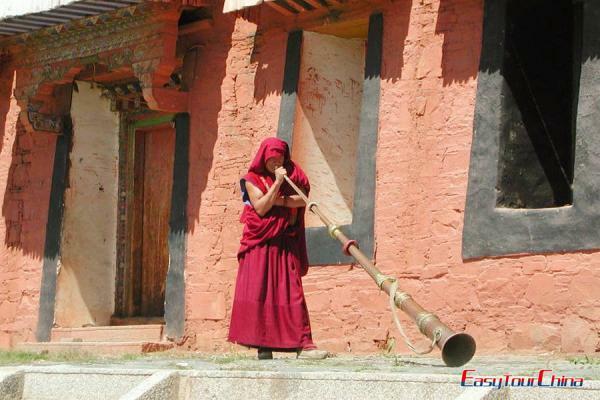 You will visit the notable Tibetan monasteries, enchanted Tibetan villages, and watch the sacred Sunning Buddha ceremony. After arrival in Lanzhou, transfer to check in hotel. Drive to visit Binglingsi Caves. 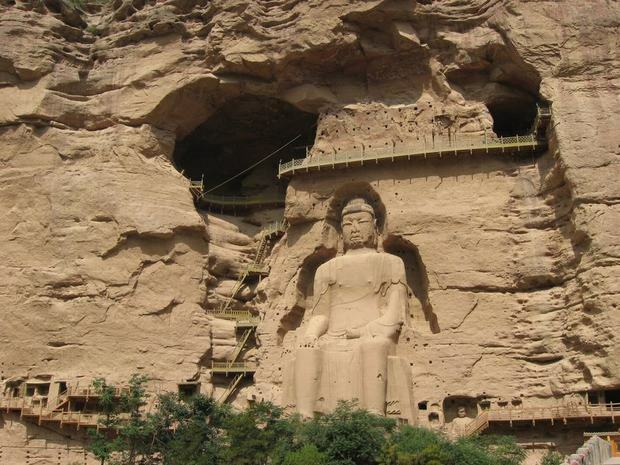 Built in 420AD of Western Qin Dynasty, it is a classic Buddhist Grottoes along Ancient Silk Road. Overnight in Lanzhou. After breakfast, drive about 28km/17mi to visit Kumbum Monastery (also called Ta'er Monastery), one of the greatest six lamaseries of Gelukpa sect (the Yellow Hat Sect) of Tibetan Buddhism. Overnight in Xining. Transfer to Tongren in the morning. 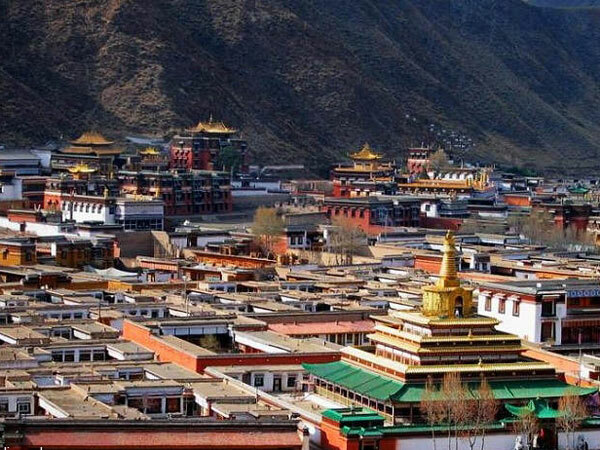 Located in the East Qinghai Province, it is one of the important Buddhist center in Amdo Buddhist area, and the hometown of Tibetan Tangkha Painting Art. 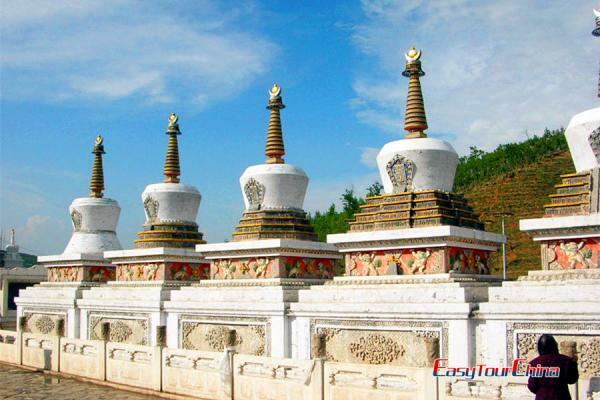 Head for Drotsang Monastery, the largest Monastery and Ming Dynasty Architecture in Ledu County. Overnight at local guesthouse at Tongren. Visit Lower Wutong Monastery (Wutun Lower Temple) in the morning. You will have chance to watch Sunning Buddha ceremony and mask dance show of Tibetan style. And then head for Longwu Monastery to see the parade of Maitreya Buddha Statue around the pagoda. Drive to Xiahe. 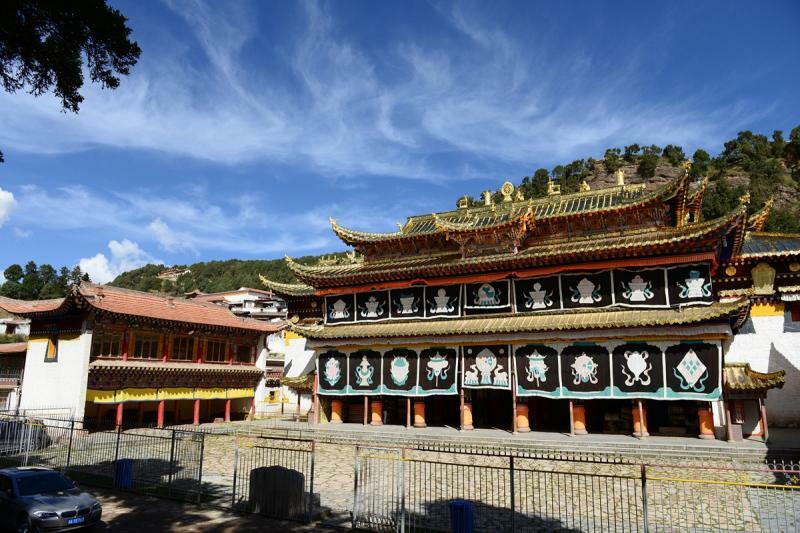 Explore the Labrang Monastery, the Largest Monastery and Buddhist Institute in Amdo. You’ll have chance to watch the ceremony of sunning the Buddha at Labrang. Overnight in Xiahe. In the morning, transfer to Langmusi. Langmusi is a quaint little town nestled among the mountains, and famous for its beautiful landscape, Nomad life and the mixture of Hui and Tibetan cultures. 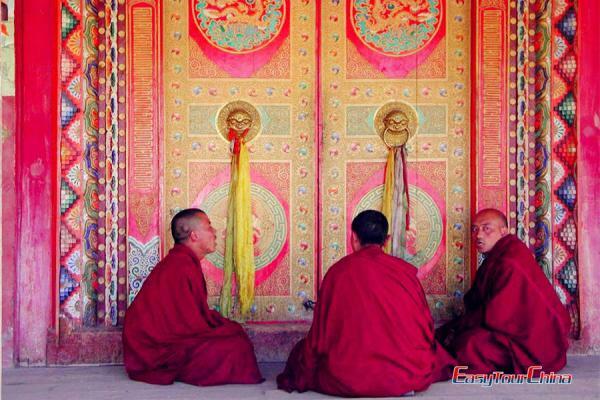 Pay a visit to two Tibetan Buddhist monasteries, and trek on the grasslands. Overnight in Langmusi. Drive back to Lanhou. Visit Hezuo Milarepa Palace en route. This magnificent temple is towering up and ringed by prayer wheels. Transfer to the airport or train station to your next destination.